Testimony of 2 Miracle Conceptions + More! I know this Testimony will bless your sox off! 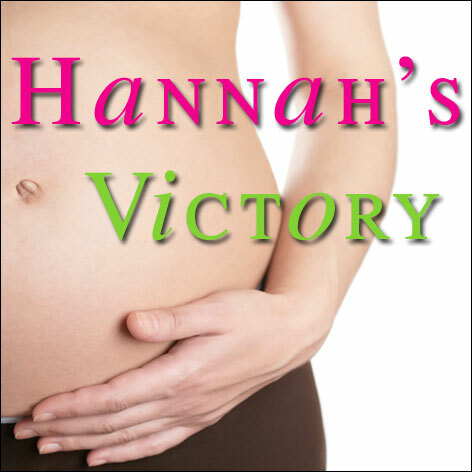 My friend Heidi shares her testimony of conception after chemotherapy and menopause! It’s my prayer after you read this that you will come to know personally for yourself that NOTHING is impossible with God! Do you struggle to look past your natural circumstances? Or do you struggle to see God’s Word as being real, alive and personal to you? When you know what the words “only” and “believe” mean you will understand that this was NOT based on Jairus “ability to believe” but on Jesus “willingness to heal” and to show Himself strong in the situation. The Word “only” in the Greek means “only” or “alone”. But this Word comes from a root word that means to remain, abide, to sojourn, tarry; not to depart, to continue to be present, to be held, and kept, continually. Jn 15:7 If you abide in Me, and My words abide in you, you will ask what you desire, and it shall be done for you. The word “abide” in the scripture above is the same root word that the word ‘only’ in Mark 5:36 comes from! The Word ‘believe’ in the Greek means to be persuaded of, to credit, place confidence in. So ‘believe’ means to have trust and confident assurance. But think about this – What do you need to place your trust and confidence in? In your ability to believe, or in Jesus willingness to heal? I believe the meaning of Faith has been misinterpreted and has therefore caused many to feel condemned when they doubt. This can consequently lead to feeling inadequate in faith because they feel they are lacking in this area. But faith has nothing to do with our ability – it is not about putting our trust and confidence in ourselves! The Amplified Bible defines the word ‘faith’ as… the leaning of the entire human personality on God in absolute trust and confidence in His power, wisdom, and goodness…(refer to the following Scriptures in the Amplified Bible Col 1:4, Col 2:5, 2 Thes 1:11, 2 Tim 3:15, Heb 10:22, Heb 13:7). Therefore Faith is about putting our trust in God’s power, wisdom and goodness and not in ourselves! Remember faith is ‘the way of Salvation’, and the Salvation Jesus purchased for us includes perfect health and wholeness in every area of our lives. Faith for Salvation (and for everything Salvation contains) literally means that we are believing, trusting and resting in Jesus ability and not our own! We rest in Jesus finished work on the Cross! Faith doesn’t earn Salvation but rather positions you to receive what Jesus has already done! Therefore, when Jesus said “Only Believe” to Jairus, He was saying, “Jairus, don’t look to yourself, or to the deadness of your circumstances BUT only remain, abide and continue to look to me by trusting in my ability and on my willingness to heal”. Can you see now how this had nothing to do with Jairus ability, BUT had everything to do with Jesus ability? Jairus wasn’t to look to himself and try to find the faith to believe BUT all he ‘had to do’ was to only look to Jesus! Jesus is the author of life and perfector of faith! John 3:14-15 in The Message Bible says… In the same way that Moses lifted the serpent in the desert so people could have something to see and then believe, it is necessary for the Son of Man to be lifted up—and everyone who looks up to him, trusting and expectant, will gain a real life, eternal life. This scripture is referring to the account when the children of Israel were wandering in the wilderness. They were being bitten by poisonous fiery serpents, which resulted in death (see Numbers chapter 21). When the people cried out to God for deliverance, God said to Moses in Numbers 21:8 “Make a snake and put it up on a pole; anyone who is bitten can look at it and live.” And do you know what happened? Numbers 21:9 says So Moses made a bronze snake and put it up on a pole. Then when anyone was bitten by a snake and looked at the bronze snake, they lived. The Bronze serpent on the pole was a type of Jesus and His finished work on the Cross. Jesus bore all our sin, sickness, disease and death on his body. Therefore, everyone who looked to Jesus lived! Now back to Mark chapter 5 and to Jairus…Jesus was saying to Jairus, look to me and your daughter will live! And do you know what happened next? Mark 5:41-42 in the Amplified Bible says…Gripping her firmly by the hand, He said to her, Talitha cumi—which translated is, Little girl, I say to you, arise from the sleep of death! 42 And instantly the girl got up and started walking around—for she was twelve years old. And they were utterly astonished and overcome with amazement. Jairus’ daughter was healed and made whole! My friend, be encouraged because Jesus is unchanging! He is always the SAME, yesterday, today and forever (Hebrews 13:8)! He cannot change His nature and He is still looking to show Himself strong to you! So let the Holy Spirit lead you into all truth by taking what belongs to Jesus and making it known to you personally. And let me end by encouraging you to stop looking to yourself, trying to build your faith and trusting in your ability to believe, but rather remain, abide and continue to look to Jesus by trusting in His ability and resting in His finished work instead”. And soon the rest will be History!